What do Hawaii and Pennsylvania (and Several Other States) Have in Common? 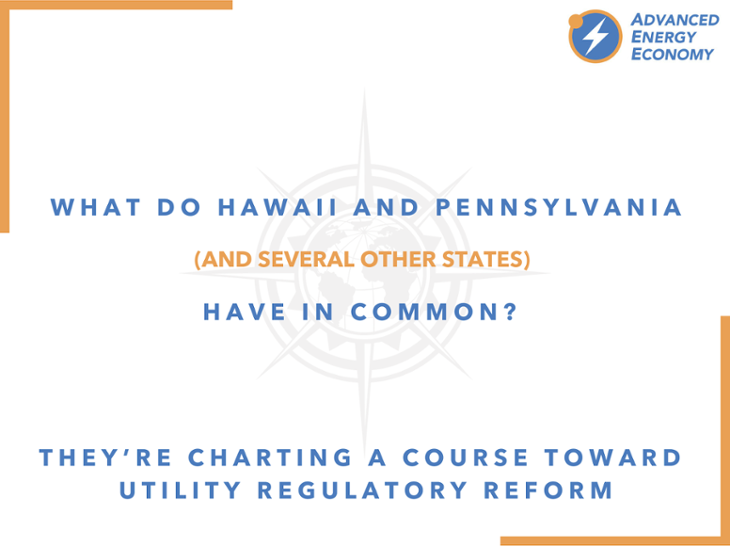 They’re Charting a Course Toward Utility Regulatory Reform. As we have written many times in the past, the electric power sector is in the midst of some big changes. Whether it is new wind and solar power beating existing coal generation on price, the rise of electric and autonomous vehicles, or the multiple factors behind the evolving utility business model, change is in the air, and those changes are being driven in large part by technology and customer preferences. So it is not a question of if, but when change occurs, and it is also possible to imagine what the end state is going to look like, even if the timing and many of the details remain unknown. Uncertain, as well, is the path to that end state. But states ranging from Pennsylvania to Hawaii are blazing the trail, each in their own way. A successful transition to a 21st Century Electricity System requires careful consideration of a range of issues that will ultimately redefine the regulatory framework and utility business model while creating new opportunities for third-party providers and customers to contribute to the operation of the electricity system. 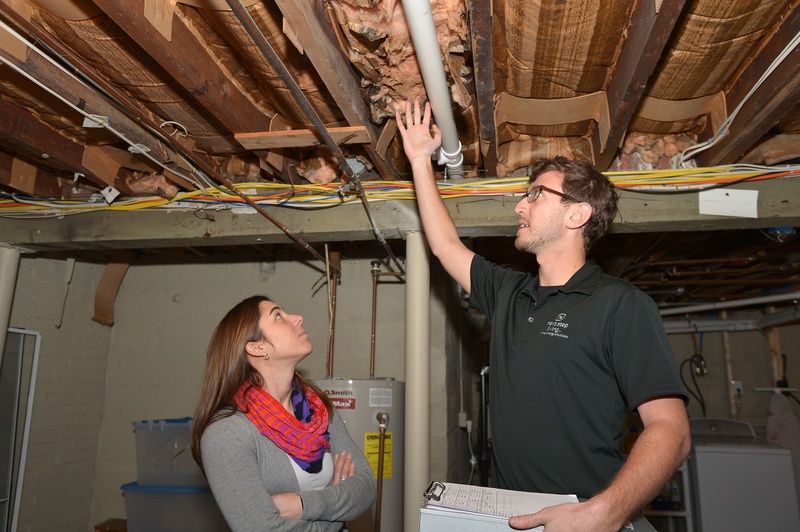 In this third in a series published by Utility Dive, AEE explores traditional and "pay for performance" approaches to energy efficiency (EE). If you would have asked me, back in the fall of 2013, if I thought I would be spending most of the next three years on a regulatory proceeding in New York, I would have answered “no.” Yet here I am, in the fall of 2016, still actively engaged in the Reforming the Energy Vision (REV) proceeding. Although REV didn’t officially begin until the spring of 2014, we at AEE were already working with our member companies and New York’s utilities to articulate a collective vision for what a 21st century electricity system might look like in New York state, so it’s been a full three years for me and my colleagues Lisa Frantzis and Danny Waggoner. One question to ask is, has all that time been worth it? For me, the answer is an unequivocal “yes.” Not only have I reached Select status on Amtrak again this year, but REV remains the most significant proceeding (set of proceedings, really) in the country addressing utility regulatory and business model reform. Our participation has enabled us to bring the business voice to the conversation and, we believe, has contributed to positive outcomes already—with, we hope, many more to come. We’ve blogged several times over the last two years on New York’s landmark Reforming the Energy Vision (REV) proceeding, which seeks to fundamentally reorient the way electric utilities are regulated in New York State. We have been strong supporters of this effort and, along with our state and regional partners, Alliance for Clean Energy New York and the Northeast Clean Energy Council, have filed comments at nearly every opportunity. Back in 2014, we blogged that The Devil is in the Details and later reviewed some of those details when the Department of Public Service issued its Track 2 White Paper. We also weighed in on benefit-cost analysis and, most recently, utility-solar collaboration on the future of net metering and compensation of distributed energy resources (DER). Truly, there is virtually no aspect of the regulatory framework that is not up for consideration in REV. The details of what utility regulation will look like in New York just got clearer, when the Public Service Commission (PSC) issued its Track 2 Order on May 19. This Order addresses the fundamental issue of the utility revenue model as well as certain aspects of rate design. While there are many details still to be worked out (the Order is mainly about the framework and process), the PSC has formalized some bold ideas for how the utility business model will evolve in order to keep up with changing technology, evolving customer needs, and state energy and environmental goals. There are lot of hot topics in energy these days, but perhaps none more so than net energy metering (NEM). This simple rate design allows customers with onsite generation (usually rooftop solar, but also other technologies, like fuel cells and small wind systems) to send excess electricity onto the grid and spin their meters backwards. At the end of the month, the customer receives either a bill or a credit, depending on whether there was net excess generation in that month. This makes owners of distributed generation happy - and makes utilities nervous. Although NEM clearly sets out what distributed generation (DG) customers get paid for their electricity, it does not fully answer the question of what that DG is worth, not only to that customer but to all the other customers who depend on the grid. That’s exactly what New York’s Public Service Commission asked for comment on in the latest round of filings under its “Reforming the Energy Vision” proceeding. In response, AEE Institute, and its state and regional partners engaged in that proceeding, submitted a proposal for setting the balance between deploying distributed energy resources (DER) and maintaining the grid for all. What’s the not-so-secret formula? LMP+D. For what that means, read on.